Installing a new central heating boiler is a big decision. Depending on your heating and hot water requirements, and your budget, there are several options to choose from, including conventional gas boilers, electric and oil and LPG boilers. You can even generate your own heat with a wood pellet biomass boiler. Regardless of the type of boiler you opt for, you’ll need to employ the services of a qualified professional heating engineer or an MCS accredited installer, if you want to switch to renewable heating. So, let’s take a look at the different types of heating systems out there, ranging from conventional combi and system boilers to biomass heating systems. Condensing boilers are perhaps the most popular option for the majority of British households. Since 2005 it has been illegal to install a non-condensing boiler in UK homes. Unlike older boilers, modern condensing boilers are manufactured to reuse heat from the flue gases. By reusing wasted heat, condensing boilers are around 90% efficient. In fact, if you install a new condensing boiler you could save up to as much as £305 a year in heating costs* – although savings will depend on the efficiency of the boiler you’re replacing. More than half of the boilers sold in the UK are Combi boilers. They’re so popular thanks to their space saving design. A central heating boiler and water heater in one, combi boilers don’t require a water tank or a hot water cylinder and heat water on demand, which is fed straight from the cold water mains supply. Combi boilers deliver instant, unlimited hot water and are a good choice if you take a lot of showers. Perhaps the biggest disadvantage of a combi though is the lack of a back up immersion heater. If the boiler breaks down you won’t have any heating or hot water. Also, if you have a large home with several bathrooms, a combi boiler won’t meet your needs. A professional heating engineer will be able to advise you about the type of boiler best suited to your home and lifestyle. Pros – instant unlimited hot water; great for smaller homes with low hot water demands; and there’s no hot water cylinder and no cold water tank. Cons – if the boiler breaks down you won’t have any hot water or heat; they don’t work well with power showers because they can’t heat hot water quickly enough; it takes ages to run a bath if you have a combi boiler. Like Combi boilers, System boilers don’t require a water tank in the loft. Central heating and hot water is provided via a sealed hot water storage cylinder, which you’ll usually find housed in an airing cupboard. System boilers are the perfect solution for households with more than one bathroom and a high water demand. They are also easy to install and service, with most of their components built into the boiler. Pros – ideal if your household has a high demand for hot water; the pump is inside the boiler, providing more economical running costs; they can be teamed with a solar thermal system to heat water more efficiently. Cons – the cylinder must be well insulated to prevent heat loss and energy waste; they take up more room than a combi; if you want a powerful shower you’ll need to buy a booster pump, which can be expensive and noisy. p more room compared to combi boilers. Regular boilers, also known as Heat-Only and Conventional boilers, are designed to work with conventional heating and hot water systems that have a separate hot water storage cylinder. With a cold water storage cistern and an expansion cistern in the loft. It doesn’t matter what type of property you live in either, or how many bathrooms you have; a Regular boiler will meet your heating and hot water demands. Pros – you’ll be able to use several taps at the same time; they are suitable for larger properties; heat only boilers are an ideal boiler to install if you’ve got a house with an old heating system. Cons – the size of the cylinder will limit the amount of hot water you can use; like system boilers, if the cylinder isn’t well insulated heat will be lost, which is a waste of energy; with heat only boilers the pump is housed outside the boiler rather than inside, which means the take up more space. 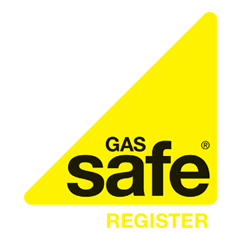 If you live in a rural location and you’re not connected to mains gas, you may well depend on expensive oil to heat your home. If you’re looking for a cheaper way to provide your home with heating and hot water, you might want to consider installing a biomass boiler as a replacement for a gas or oil boiler. They work with conventional radiators as well as under floor heating, by burning wood pellets, wood chips or logs. The most efficient type of biomass boilers keep emissions low by controlling how much air and fuel is supplied to the combustion chamber and are fed by a large automatic hopper. The hopper needs to be housed nearby though, so biomass boilers do require a fair amount of space. Wood pellet biomass boilers and biomass pellet stoves [with a back boiler] are eligible for the Renewable Heat Incentive scheme, which pays adopters of renewable heat a set tariff rate of 12.2p per kWh quarterly for seven years. Pros – compared to oil and LPG biomass fuel is about 40% cheaper; biomass boilers require little maintenance once installed; get paid for generating your own renewable heat with the Renewable Heat Incentive; payments should cover the installation costs. Cons – you’ll need a lot of space for the boiler and to store the fuel; they are much more expensive to install compared to a conventional central heating boiler. Boiler Guide can provide free boiler installation quotes from approved and rated heating engineers. Complete the simple online quote form to get started.